Reporting to the Programmes Manager, the position supports TLS to strengthen and enhance the competence and professionalism of its members through the provision of excellent continuing professional development seminars, safeguarding ethical practice and the provision of effective and timely communication with its members, stakeholders and the public on legal information/developments. The Position will head the Member Services Programme. Reporting to the Programme Officer – Member Services, the CLE Officer basic function is to promote professional development and continuing education of TLS members, and to design ongoing and long-term improvements to the TLS CLE programme. Reports to the Human Resource and Administration Manager. The procurement officer provides procurement expertise and assists stakeholders to plan, develop, source and manage procurement arrangements to effectively meet organizational and business objectives. · Bachelor Degree/Advanced Diploma in Procurement and Supplies /Logistics or its equivalent. 3. Implement and contribute to the development of contract management plans, resolve issues, monitor performance and negotiate contract variations through effective supplier relationships to enhance business outcomes. Reporting to Business Development Manager the position will be responsible for providing marketing support to a number of business areas within the Law Society. The position is also responsible for internal and external public relations that enhance member engagement and create positive public impression. · Holder of Bachelor’s degree or equivalent in Journalism/Mass Communication/Public Relations or Marketing from a recognized Institution. · Training on Marketing from a recognized Institution is an added advantage. · Solid experience with social media including blogs, Face book, Twitter, etc. · Demonstrable experience in Event planning. · Provide technical and administrative support to the TLS Marketing and Public Relations Committee. Successful candidates will receive attractive packages based on TLS salary scale commensurate with her/his qualifications and experience, inclusive of fringe benefits. If you are qualified kindly apply by submitting an application letter at the address below Enclosing Updated Curriculum Vitae, Copies academic of certificates, Contact address of candidates including a day time telephone number(s) and email addresses and names and contact address of two referees, one of whom should be work related. All applications for respective positions should be clearly marked on top of the envelope e.g. 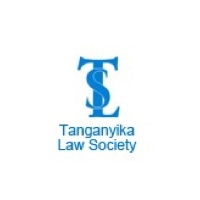 Applications should reach the Tanganyika Law Society no later than 8th January, 2018 at 1700hrs. Inquiries will not be responded to; only short listed applicants will be contacted for interview. Bannerizer made it easy for you to promote ClickBank products using banners, simply visit Bannerizer, and get the banner codes for your favorite ClickBank products or use the Universal ClickBank Banner Rotator Tool to promote all of the ClickBank products.